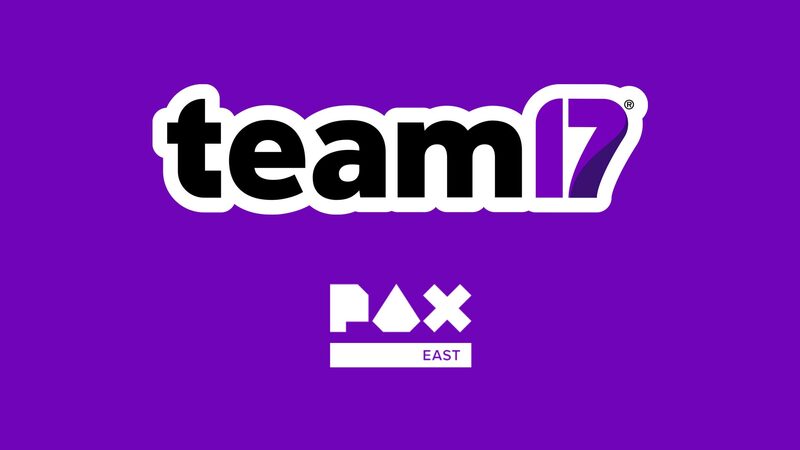 We are very excited to announce that we’ll be at PAX East in Boston, Massachusetts from 5th to 8th April 2018. We’ll be showcasing a bunch of games that you’ll be able to get some hands-on time with, and we’ll be running competitions! There will also be show-exclusive pin badges for you to collect. Set in a beautiful alien world filled with mystery and danger. PLANET ALPHA is an atmospheric side-scrolling platform adventure game. Combining exploration, creative puzzles, stealth mechanics and a unique art style to create an unforgettable experience. A super-charged action-packed puzzler coming to PC and consoles in 2018. Rescue survivors, defeat aliens, collect crystals, and SAVE THE WORLD! This will be the first playable demo in the US and we can’t wait to share it with you! A new take on the beat-‘em-up genre heading to Xbox One, PlayStation 4, Nintendo Switch and PC in 2018. Created by ex-Rare developer Nic Makin of MakinGames. This will be the first playable demo in the US, and developer Nic will be on hand to answer any questions you may have. Play as Yoku the dung beetle in this charming pinball platform game with handpainted artwork from games industry veterans. Play the demo and meet Yoku and friends ahead of the games launch on Xbox One, PlayStation 4, Nintendo Switch and PC in 2018. A unique mix of roguelike, FPS, base building and survival elements heading to Xbox One, PlayStation 4 and PC in 2018. Inspired by the likes of Animal Crossing, Harvest Moon, Dark Cloud 2 and the magic of Studio Ghibli, My Time At Portia whisks you away to a captivating world of wonder, in a stunning and unforgettable 3D sandbox adventure. Currently available in Steam Early Access and heading to Xbox One, PlayStation 4 and Nintendo Switch later this year. On top of all that, we’ll also have: Overcooked, The Escapists 2, and Worms W.M.D with us. These will also be fully playable at the show. Feeling competitive? We’ll be running competitions for the highest scores on Overcooked and Raging Justice, with prizes going to the players with the highest score at the end of each day. This is your chance to show off your skills and win some cool, exclusive prizes that money can’t buy! Stop by our stands and chat with the team for more info. We’ll be giving away exclusive pin badges to the first 50 people who play our games each day, and once they’re gone – that’s it! Will you be able to collect the set? Sound interesting? Be sure to stop by booth #20055 – We look forward to seeing you!